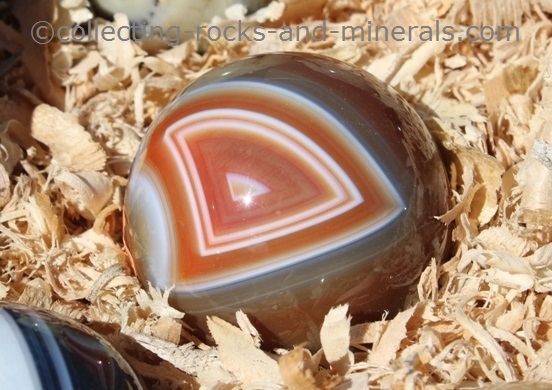 Agate stone has colour patterns. This family is defined by having a pattern to its colours. Varieties are sometimes opaque, but are usually translucent, and occasionally completely transparent. 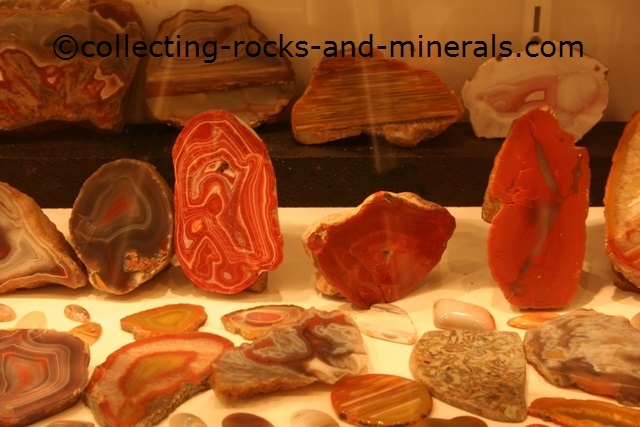 Most popular are Banded Agates which display rich, bands of colours, but many on sale have been either dyed or heat treated to enrich. 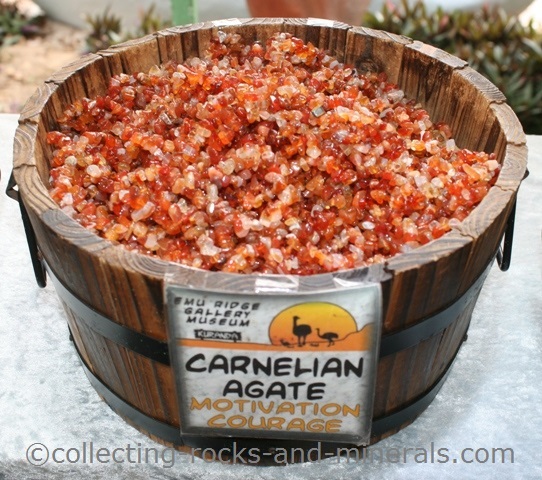 Moss Agate contains mineral inclusions which look like plants. Lace Agate displays delicate designs generally in blues and browns. Fire Agate a stone covered with grapes showing iridescent colours of red, gold and green, with the occasional violet-blue.